US Secretary of State Mike Pompeo has arrived in Pakistan for talks with new Prime Minister Imran Khan aimed at resetting ties. Relations have been strained over US allegations Pakistan is providing a safe haven for Afghan Taliban militants, which Pakistan denies. So far this year the Trump administration has suspended more than $1bn (£775m) in security assistance. After his one-day visit to Islamabad, Mr Pompeo will fly to India. 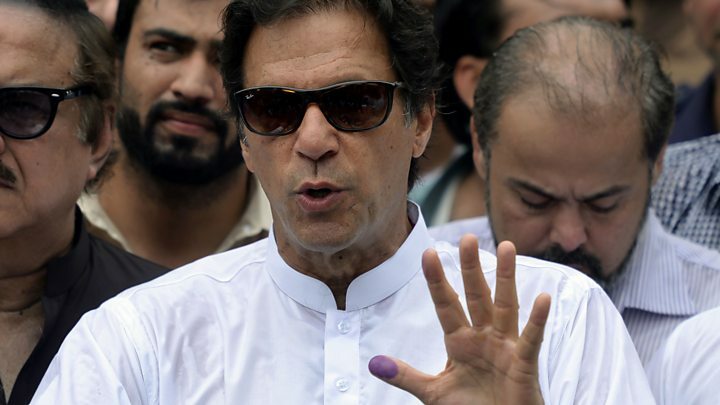 Pakistani officials say much of the money withheld by the US was meant as a reimbursement for actions they have already taken in fighting militants. Mr Pompeo will also meet Pakistan's powerful army chief, Qamar Javed Bajwa, during his visit. 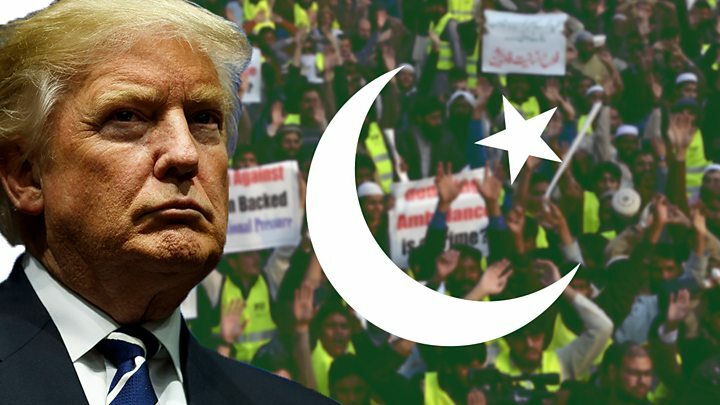 The US says Pakistan ignores or actively supports militants from the Afghan Taliban and the associated Haqqani Network in launching attacks in Afghanistan from Pakistani territory. 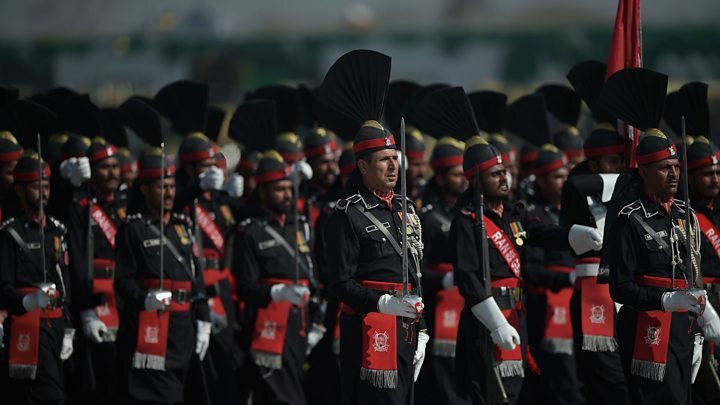 Pakistan has allowed its territory to be used to supply international troops during the war in Afghanistan and co-operated with the West in fighting some terrorists groups like al-Qaeda. Analysts say it has continued to give shelter and support to Afghan insurgents. 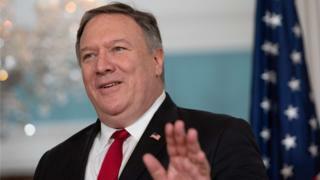 But Mr Pompeo said Mr Khan had told him that peace in Afghanistan was a "shared goal" and added that under the right circumstances military aid to Pakistan could be resumed. The US secretary of state is also expected to discuss possible Pakistani plans to ask for a bailout from the International Monetary Fund (IMF) to ward off an economic crisis. Media captionHow much influence does the Pakistani army have in politics? In July Mr Pompeo said there was "no rationale" for the IMF to hand over money that would then be used to pay off loans from China. In India he is expected to put pressure on New Delhi over its purchases of oil from Iran and missile systems from Russia. The US is also expected to finalise defence agreements for closer co-operation between the US and Indian militaries.